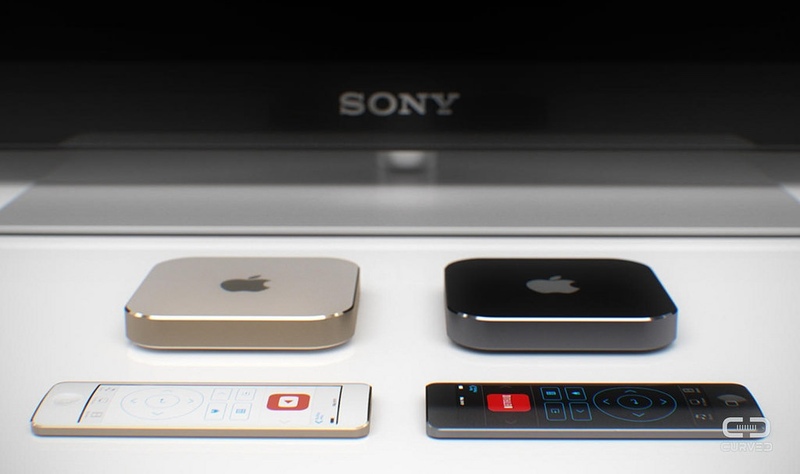 About a month ago I was skimming through the MacRumors WWDC 2014 roundup, where I first saw the Apple TV concept, originally published by German technology magazine Curved. An interesting concept, especially the remote controls UI, which obviously is inspired, if not based directly on my Remote Control for XBMC app. I reached out to @curved_de and quickly got a reply from Martin @deplaatjesmaker Hajek who is the original designer of the 3D concept. He actually thought he found an image of the UI of Apple’s own remote app through a Google image search, but in fact it was a screenshot of my app. That may well be the best compliment to get as an iOS app developer! After my reaching out, Martin immediately updated both his Apple TV piece on his website as well as the article on Curved with a link attributing the UI design to Remote Control for XBMC. For that I’d like to publicly thank him. So thanks @deplaatjesmaker! Also, don’t forget to check out his latest iPhone 6 concepts on http://www.martinhajek.com.